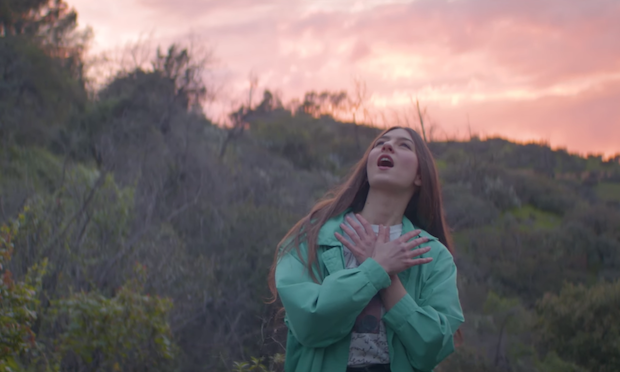 Last month, Natalie Mering announced her next Weyes Blood album, Titanic Rising, the follow-up to 2016’s Front Row Seat To Earth. We’ve heard two tracks from it so far, “Everyday” and “Andromeda,” and she also recently performed another new song, “Something To Believe,” live. We are enamored with Movies. Our generation is the most cinematically saturated of all time. Videotapes, DVD’s, streaming… Spielberg…all of it has thrust us into an endless loop of consumption. They provide formative experiences as children, standing larger than life before our fragile adolescent minds. I wanted to take a look into the emotionally manipulative powers of Movies – how have Movies succeeded in telling the myths of our time? How have they failed (miserably)? What is the consequent effect on a society of beings looking for themselves in the myths on the screen? It’s safe to say that they have failed us, but I can’t help it…I love Movies. Titanic Rising is out 4/5 via Sub Pop Records. Pre-order it here.